It is time for another CASology challenge. Check out the latest challenge – Marine! This challenge has made me realize I have lots of marine stamps! I haven’t used this whale set yet so this was the perfect time! I really like Heather’s card so I CASEd it. 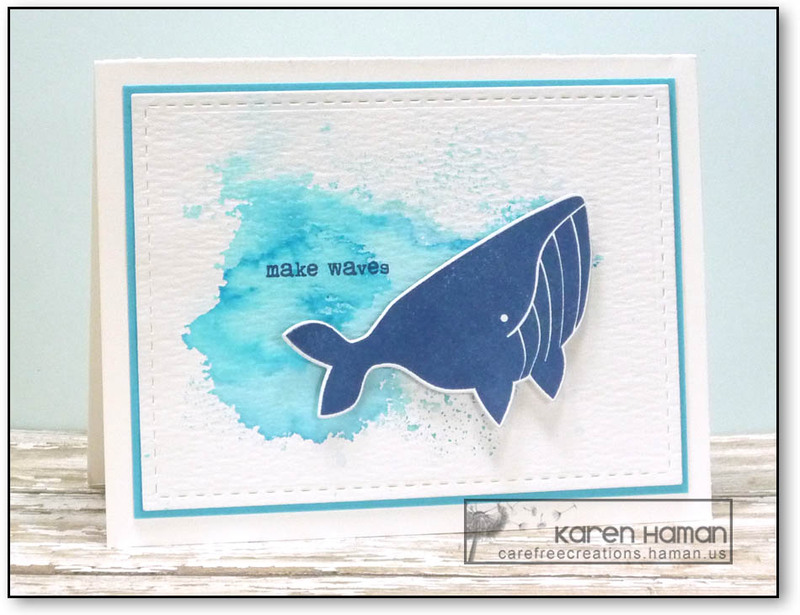 Such a cute whale, and I like how you made his ocean with water colors.